Andrew Luck has broken the NFL rookie record for yards passing, and rookie kicker Blair Walsh has broken the league mark for 50-yard plus field goals in a season. On a Sunday featuring a slew of records, Luck topped Cam Newton's year-old mark for yards passing in the first half of Indianapolis' game at Kansas City. Newton's record was 4,051 yards. Luck entered the game needing 74 yards to break the mark, and had 123 at halftime. 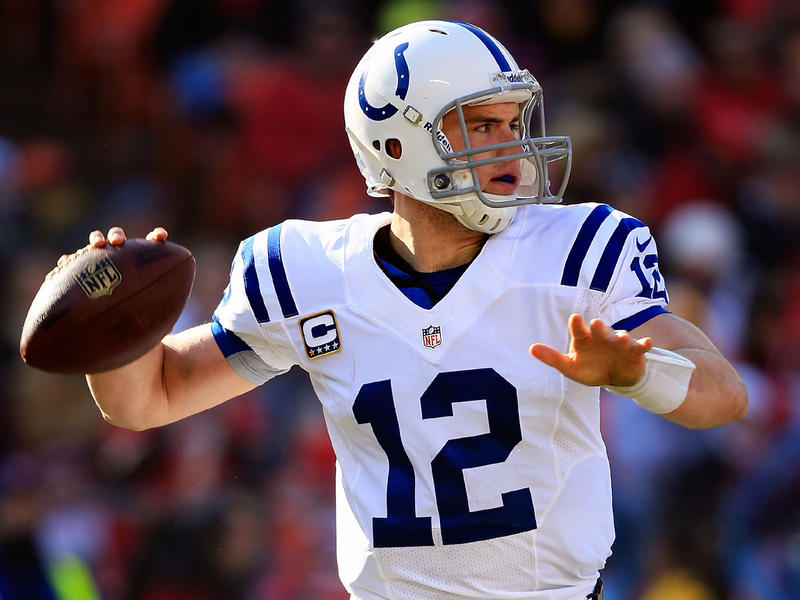 The Colts quarterback already owns the record for most passing yards in a single game, when he broke Newton's record back in November, wrote CBSSports.com's Will Brinson. Minnesota's Walsh kicked a 56-yard field goal in the second quarter against Houston, giving him a record ninth field goal of 50 yards or more. Also, Redskins kicker Kai Forbath set the NFL record for consecutive field goals to begin a career with 17 straight. He had field goals of 45 and 42 yards in the first half against the Eagles. New Orleans' Garrett Hartley had 16 straight. On Saturday, Detroit's Calvin Johnson broke Jerry Rice's single-season yards receiving record, and is at 1,892 with a game left. He also became the only NFL player with 100 yards receiving in eight straight games, and with 10-plus receptions in four straight games.